There’s probably nothing more terrifying than struggling to draw a breath. Yet that is what millions of asthma sufferers experience when an asthma attack occurs. Asthma is the number one chronic respiratory disease in the US. It is chronic inflammation of the bronchial tubes in the lungs. The inflammation causes swelling and narrowing in a person’s airways and extra mucus production. Consequently, air cannot get in or out adequately, which causes wheezing, coughing, chest tightness and shortness of breath. Because allergies often cause inflammation of the bronchial tubes, they are the single most common trigger of asthma attacks. Asthma attacks are potentially lethal, so the condition must be first controlled with conventional medication like bronchodilators and anti-inflammatories; however, decreasing the severity of attacks and preventing attacks can be achieved by more natural means. Salt therapy is a little-known but powerful way to prevent asthma attacks and reduce the severity and frequency of allergic reactions that trigger them. Salt therapy takes place in a spa-like room with salt-covered walls and floor. Treatment consists of sitting in a lounge chair and breathing deeply while pharmaceutical-grade salt is pulverized into microscopic particles and pushed into the room by a halogenerator. As a testament to its efficacy for lung conditions, The New England Journal of Medicine published a study in 2006 that found salt inhalation to be an effective complementary treatment for cystic fibrosis. The following are three ways salt therapy vastly improves the symptoms of asthma and allergy sufferers. Salt particles have negatively charged ions which enhance our overall health. They are hypertonic, which means they pull fluid and toxins out of the cells. Salt ions loosen mucus and act as an expectorant, which increases drainage and decreases congestion. Salt therapy neutralizes pollutants like smoke, dander, dust, pollen and other allergens present in the airways. The pulverized salt is naturally antibacterial and kills bacteria in the respiratory tract. It reduces tissue irritation and swelling. This decreases the inflammation in the lungs and opens the airways, increasing oxygen exchange. Salt therapy increases the effectiveness of conventional treatment. Cleansing the airways and decreasing inflammation helps medications work more effectively and also reduces the need for them. 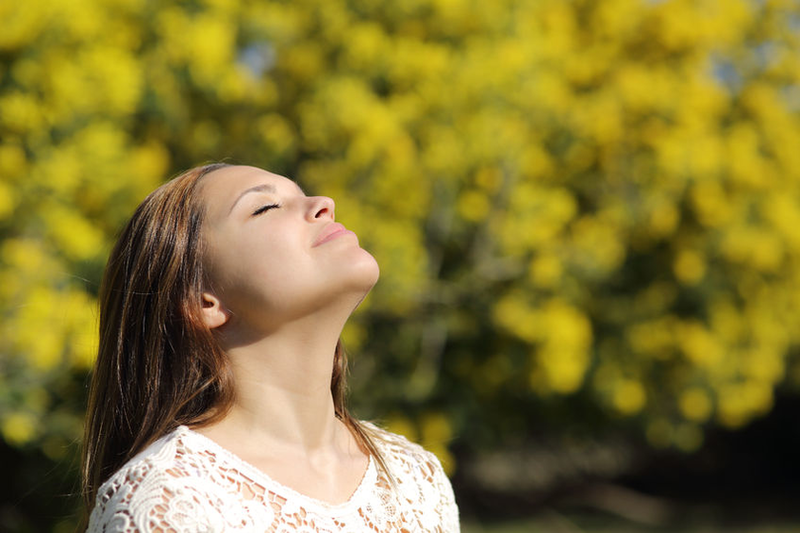 Open airways calm breathing and reduce wheezing and coughing, making life more comfortable and asthma more manageable. This also prevents overuse of inhalers, a practice that can cause new bronchospasms and increase asthma severity. Salt therapy is completely safe, inexpensive and helps prevent common comorbid conditions such as ear infections and sinus infections. It helps prevent asthma attacks, especially if a therapy session is undertaken during peak allergy season and after exposure to allergens (like a visit to a relative who smokes). Due to its anti-bacterial, anti-fungal and anti-inflammatory properties, it also improves skin conditions like eczema, dermatitis and acne. Salt therapy offers drug-free, effective assistance to those who suffer from asthma, providing a way to address this disorder at its root cause. Another reason to breathe easier. If you found this article interesting, have questions, or have always wanted to know more about natural therapies for asthma and allergies, join us on Thursday, June 14, 2018 at 6pm where Dr. C and Debi Wills, ARNP present this unique topic!